It’s that time of year again, early autumn, when flu experts recommend getting the seasonal flu vaccine, especially for children and individuals over 65. Of course, if you don’t think you should get the vaccine, there’s a description for a person like you. One of the issues that has been observed in the past is that the traditional flu vaccines may not have a high effectiveness in older adults. In fact, recent research shows that, in patients over 65 years old, the effectiveness of the flu vaccines can be as low as 9% for some strains of the influenza A virus (but still strong effectiveness for that group for other strains of influenza A and all strains of the influenza B virus). The lower effectiveness may not be a result of the vaccine itself, but because older individuals may require more antigen to induce a proper immune response. Because of these observations, Sanofi Pasteur developed a high dose version of their Fluzone vaccine specifically for seniors. The new high dose vaccine contains 60 μg of each of the three hemagglutinin antigens per vaccine dose compared to the 15 μg per antigen in the standard Fluzone dose. Although the Fluzone High-Dose was cleared by the US Food and Drug Administration (FDA) in 2009, the FDA instructed Sanofi Pasteur to provide more evidence of effectiveness in seniors before the vaccine could be marketed. 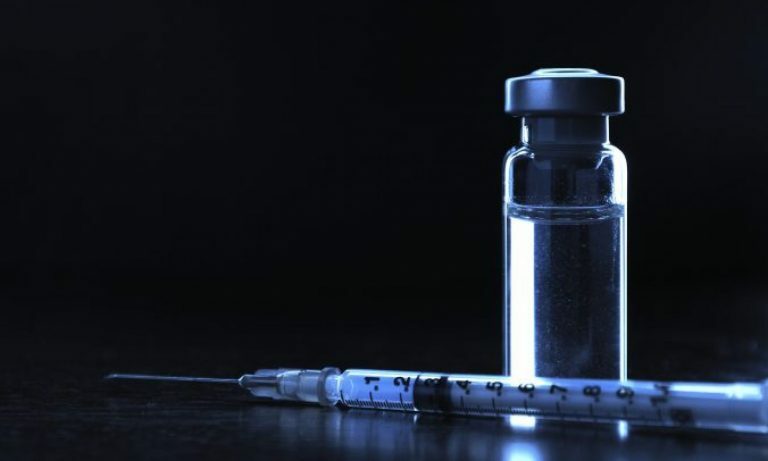 The FDA required that the study should be a safety and efficacy study of 27-30 thousand adults, 65 years or older, comparing the standard dose vaccine to the new high dose version. The study included patients from both the 2011-2012 and 2012-2013 flu season. Just in time for the 2014-2015 flu season, a recent study published in the New England Journal of Medicine (NEJM) provided data that the Fluzone High-Dose vaccine is 24.2 percent more effective in preventing the flu in senior citizens than the standard flu vaccine. Moreover, the overall effectiveness of the new vaccine is >90% in seniors. 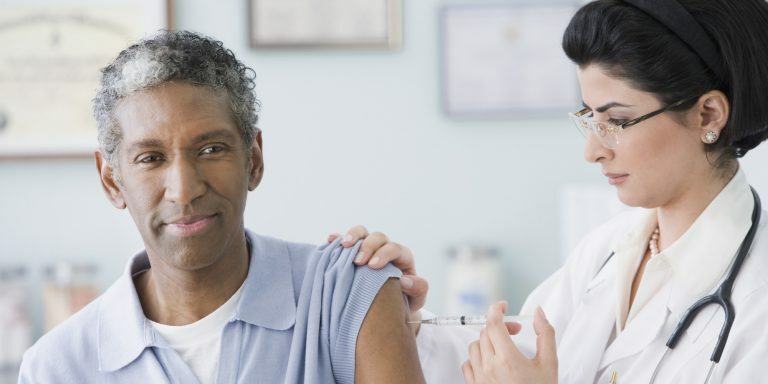 The new vaccine is also superior in preventing secondary flu side effects such as hospitalizations, pneumonia, and cardio respiratory complications, which means it an extremely valuable vaccine for older adults. There is a trade-off in the safety of the vaccine when the antigen concentration is essentially quadrupled in the new vaccine. Serious adverse effects, such as allergic reaction, was about 9.2% higher in the high dose vaccine compared to the standard one. This is still a small rate for either type of vaccine. Based on the real evidence, the CDC has included the high dose flu vaccine in its list of recommended vaccines, and the CDC is recommending it for all patients >65 years. Real science gives us a new type of flu vaccine for older adults, so that we can help this at-risk population be immunized against the flu. Good job science. Bragstad K, Emborg H, Kolsen Fischer T, Voldstedlund M, Gubbels S, Andersen B, Molbak K, Krause T. Low vaccine effectiveness against influenza A(H3N2) virus among elderly people in Denmark in 2012/13 – a rapid epidemiological and virological assessment. Euro Surveill. 2013 Feb 7;18(6). doi:pii: 20397. PubMed PMID: 23410258. Centers for Disease Control and Prevention (CDC). Interim adjusted estimates of seasonal influenza vaccine effectiveness – United States, February 2013. MMWR Morb Mortal Wkly Rep. 2013 Feb 22;62:119-23. PubMed PMID: 23425960. DiazGranados CA, Dunning AJ, Kimmel M, Kirby D, Treanor J, Collins A, Pollak R, Christoff J, Earl J, Landolfi V, Martin E, Gurunathan S, Nathan R, Greenberg DP, Tornieporth NG, Decker MD, Talbot HK. Efficacy of high-dose versus standard-dose influenza vaccine in older adults. N Engl J Med. 2014 Aug 14;371(7):635-45. doi: 10.1056/NEJMoa1315727. PubMed PMID: 25119609. Previous PostPrevious Poll–Will you and family members get the flu vaccine?